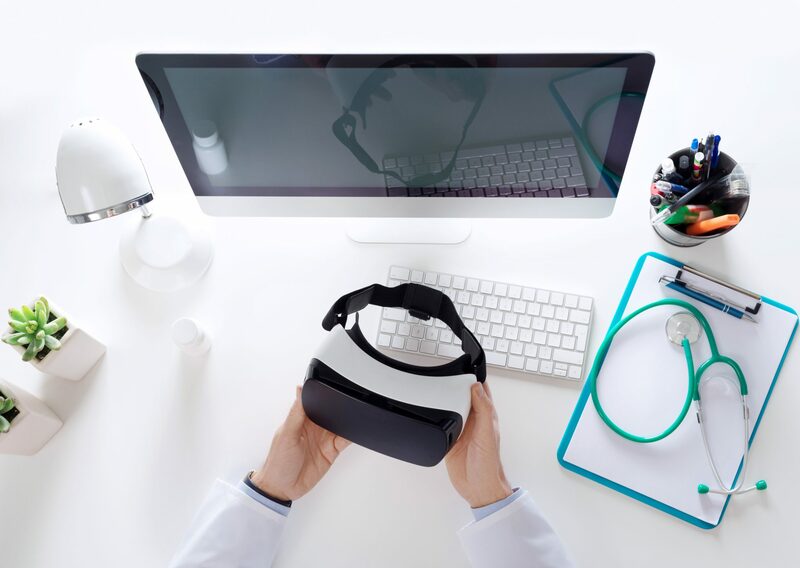 Have you considered virtual reality for your dental practice? This technology is tipped as the next big thing for Dentistry. Leading dentists are improving the experience of their patients and reaping the rewards. It is easy to implement and the purchase of a Guided VR includes all hardware, software, ongoing maintenance, and virtual support. There is no complicated set-up or training required. No additional computers are required, or cabling, or a special room. The patient simply puts on the headset whilst they are in the chair and the Dentist can proceed as usual. How does virtual reality for your dental practice help? With this technology, the patient is immersed in a world quite different to their real experience. Instead of staring up at the overhead lights or even a slideshow on the ceiling, they are taken somewhere completely different. This powerful distraction technique helps them to calm down. It is also reported that patients significantly less pain in treatment. The appointment is much less stressful for the patient with Dental Anxiety, which in turn makes it an easier process for the dentist and dental assistant. Those suffering from Dental Phobia have a non-drug method to escape alarming sights and sounds of a regular visit. This positive experience helps a patient to reframe their ideas about a dental visit. This makes them more likely to have regular check-ups. This results in identifying issues early and avoiding extensive work in the future. Patients are less likely to cancel future appointments. Dental fear is real thing for some patients and some cancel an appointment repeatedly before they eventually attend. It is also difficult for them to complete the treatment if it requires multiple appointments. By decreasing this fear, they are able to come to their appointments. How can you get this technology for your dental practice? If you would like to explore virtual reality for your dental practice, Guided VR is the only all in one relaxation solution. We make it simple for small dental practices and established entities to deploy virtual reality distraction therapy in minutes.